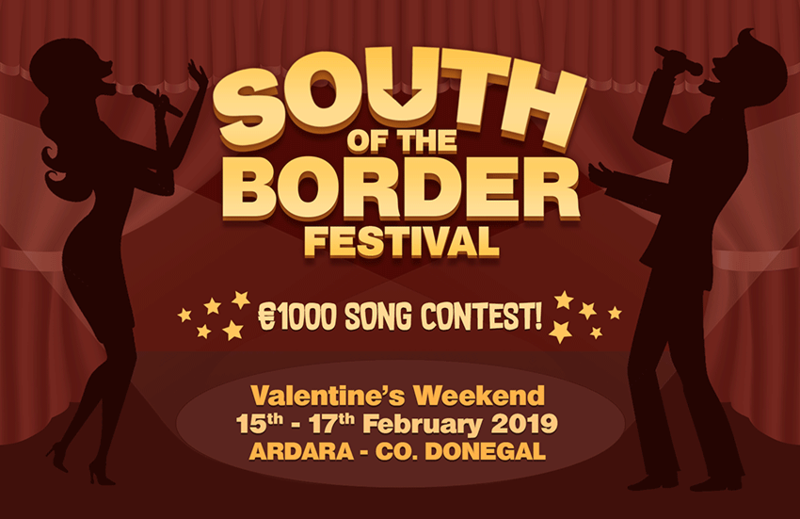 Get your entries in for this year’s Song Contest for the South of the Border Festival. Entries will be taken up to and including the 9th February 2019. For entry form and further details see our South of the Border Festival page. The Song Contest Final is at 3pm in the Nesbitt Arms Hotel on Sunday 17th February. Note the final six will be announced on the Paul McDevitt Show on Highland Radio at 9pm next Monday night 11th February. The South of the Border Festival takes place Friday 15th February – Sunday 17th February. The Festival celebrates the songs of Jimmy Kennedy and the stories of Packie Manus Byrne, featuring live music sessions, storytelling, and a €1000 songwriting contest (see above)! Visit our South of the Border page for further information and programme of events. The Oliver Boyle Memorial 25 Card Drive will take place in the Corner House Bar next Sunday 10th February at 8pm. All Proceeds will go to the Ardara Care of the Aged. Everyone welcome. The annual 2018 GAA Awards night takes place in the Club House on this Saturday night 9th February. The Awards for 2018 will be presented on the night. Kieran Keeney will be inducted into the Hall of Fame. This is an open night for all involved or who help out. Food will be served at 8.30pm followed by music. Parents wishing to enrol their child next September for the 2019/20 school year are asked to contact the school for an enrolment form. The school can be contacted on 074 9541279. Any person wishing to enrol their child in Crannógbuí School for September 2019 can collect an Application to Enrol form from the school (telephone 074 95 41002). The closing date for the above appeal is the 15th February. There has been a great response as always to date. Items required: good quality adult and children’s clothes and shoes, soft toys, bed linen, towels, toiletries. You can Contact Siobhan Mc Nelis on 0877463659. Due to the ongoing roadworks on the Town Street, the Mobile Bank will now be available in the Town Car Park every Monday 10.00 am till 1pm and on Wednesday 10.30 am till 1pm until the street works are completed. Jiving Classes continue in the Heritage Centre every Tuesday night at 8.30pm and will continue every Tuesday evening at that time. Open to all age groups and everyone welcome. See our Dancing page for more. Art Classes take place in the Heritage Centre every Friday night from 7pm to 9pm. Beginners Only Line Dancing classes every Thursday in the Heritage Center 7pm – 8pm. Also Zumba Fitness every Tuesday in the Heritage Center at 7pm. For more information call Bridget on 087 9130558. 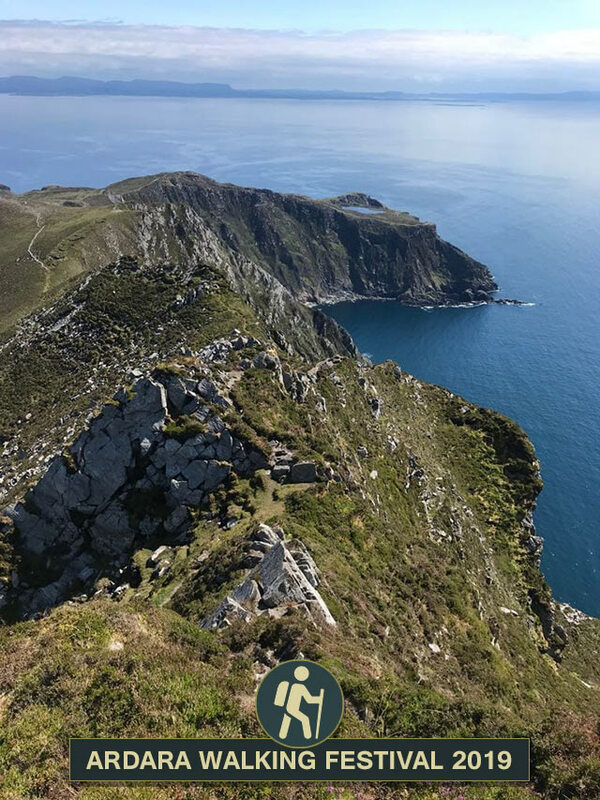 Ardara’s Renowned Walking Festival, featuring a variety of guided Short, Medium & Strenuous Walks, takes place St. Patrick’s weekend Friday 15th March – Monday 18th March 2019. Registration: Friday 15th March 6pm-10pm in the Heritage Centre. Walks take place Saturday 16th and Sunday 17th March. Visit the Walking Festival page for more information, or stay up to date on the Facebook page. St Patrick’s Parade takes place on Monday 18th March. Anyone interested in putting in floats or bands are so welcome. Contact 087 2023033 or 087 2424590 for more information and to book bands or floats.